“Am I writing The Hours from deep emotion? Of course the mad part tries me so much… The design is certainly original and interests me hugely.” These separate entries taken from Virginia Woolf’s diary, written in 1923, depict her thoughts on her writing process of The Hours which she later renamed Mrs Dalloway published in 1925. 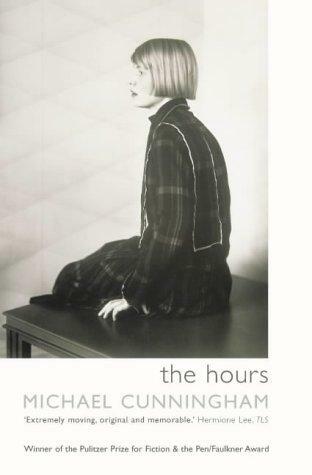 Cunningham in 1999 took more than the concept of Mrs Dalloway and the life of Virginia Woolf and reworked it into a novel The Hours. Why did it take a Woolf fan like myself so very long to read this, one might wonder? The answer to this reluctance and obvious act of avoidance is probably due some form of loyalty towards Woolf. When Woolf set about to write Mrs Dalloway she wanted to create something new and break away from what she had done before, yet when Cunningham set out to write The Hours, his reworking of the old story is just that, an imitation with creative license and a modernisation of the classic. The story focuses on three main narratives which are under the titles; Mrs Woolf, Mrs Dalloway and Mrs Brown. Mrs Woolf’s narrative focuses on the writer’s mind and thoughts during the time she was writing Mrs Dalloway, whilst Mrs Brown (during the 1950’s) is pregnant with her second child, always trying to be the perfect host and wife has begun reading Mrs Dalloway whilst Clarissa Vaughan plays out the very role of Mrs Dalloway. In 1922, Virginia Woolf wrote in her diary “Mrs Dalloway has branched into a book; and I adumbrate here a study of insanity and suicide; the world seen by the sane and the insane side by side- something like that.” These themes ran through Mrs Dalloway and again in The Hours, Cunningham remained true to these essential themes as well as pressures instilled by wider society; as well as ones role in a family and to friends. The actions played out by the individual within each narrative in the wider context are what give each character an identity which stands out. Cunningham’s novel can be easily seen as a homage to Mrs Dalloway, there is no desire to disrupt of fracture the original in the slightest. He manages to hold onto the original’s essence through the use of Woolfian language which is poetic and modern all at once. He also manages to shift between different consciousnesses in the classic Woolfian manner .The three narrative strands of this novel do entwine seamlessly as they have been well thought out indeed, yet this modern equivalent, only makes one long to reread Woolf’s Mrs Dalloway as that innate need to return to the source always burns in one’s soul. Although this is a read that will capture the mind for a number of hours and even satisfy ones needs, one ought to read the true source, the one where the magic originated from as it is quite impossible not to compare the two. Cunningham would have known what he was setting himself up for- a comparison of course with a lot of creativity flung into the mix. I started The Hours and realised that I wanted to reread Mrs Dalloway first. They make interesting reading together. Mrs Dalloway can itself be seen as a response to Ulysses, I think. Fantastic blog! Do you have any tips and hints for aspiring contents? I’m planning to start my own website soon but I’m a little lost on everything. Would you propose starting with a free platform like WordPress or go for a paid option? There are so many options out there that I’m completely overwhelmed .. Any suggestions? Many thanks!